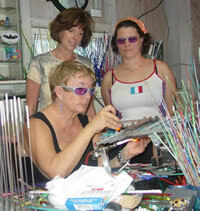 JoBean offers classes and workshops and is flexible to meet your needs. 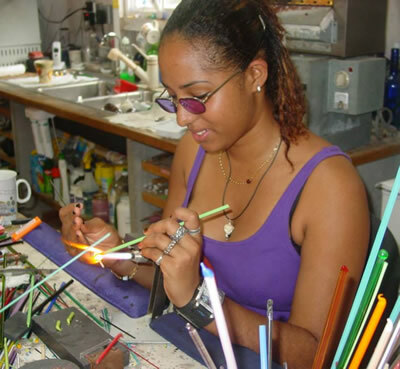 If you are visiting the island, call or e-mail jobean81245@gmail.com to schedule a half day or a full day class just to be sure classes are available. Half day classes are $95 and Full day classes are $150 including all materials and supplies.As long as there are two or more people who would like to take the class, then JoBean is happy to work around your schedule. If you don't have time for a class, come by the shop and JoBean will gladly do a demonstration for you. If you would like JoBean to come to you for a class, call or e-mail jobean81245@gmail.com and get an estimate for onsite workshops. JoBean is willing and eager travel to you. She provides all materials as long as you have a place to host the workshop.